“”The geotectonic situation of the Aegean and of Anatolia enables the formation and presence of hydrothermal resources, this mainly due to the back-arc settings related to the subduction of the African plate under the Aegean Sea plate in the Aegean and especially to extensional grabens in Anatolia. The area is therefore predestinated for geothermal development, i.e. the utilization of the resources for energy purposes. In Turkey a large number of high-temperature thermal springs demonstrate the large geothermal potential of the country; in fact the country has a long history of thermal spring uses, substantial experience in district heating, and nowadays a rapid increase in installing power generation facilities………………………………………………………………… Altogether 30 authors elaborated the various Chapters: 21 from Turkey, 7 from Greece, 1 from Italy, 1 from USA. The Editors took care of harmonizing the contributions, i.e. to include maps in the Chapters, which show the locations treated. 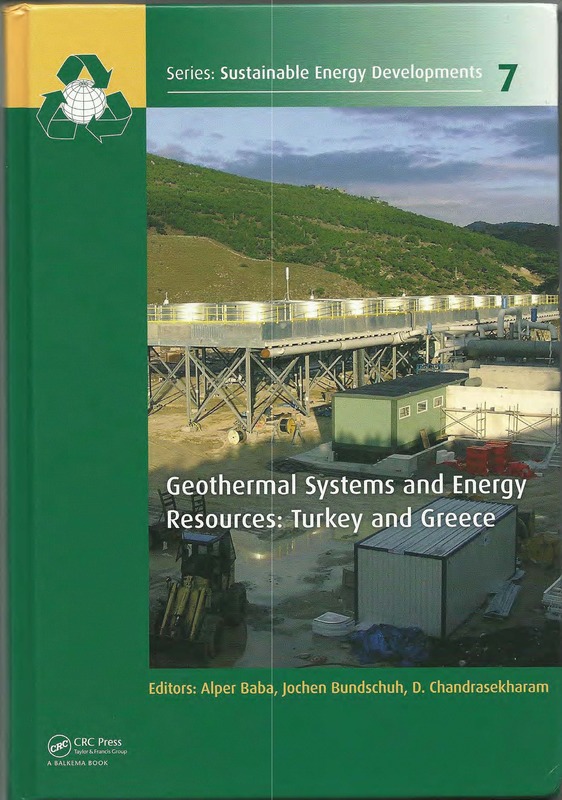 The investigations described and the results presented in this Volume shall encourage and initiate further exploration and development in this part of the world that has remarkable potential for geothermal energy utilization””. Thus commented Ladislaus Rybach, former Internationa Geothermal Association President about the book..